Things got a lot slower once I got east of Bend. I remember in the book "Zen and the art of motorcycle maintenance" he said that when he hit US 97 going west that the energy changed and everything started moving faster. I took offense when I first read that thinking that we were pretty laid back on the west coast. But there is no denying that things go at a slower pace once you get far enough away from the major population centers. Either that or my legs are just getting tired. It was a nice, mostly downhill, ride into Prineville, where it was warm and sunny. I stopped at a park to call Linda. Then I picked up a subway and went to another park to eat it. Eventually I headed out of town, east on US 26. At thus point I am now on the Trans-Am bicycle route 76 which goes from Astoria, Oregon to Yorktown Virginia. I expect to run into other cyclists on this route. It was not far from Prineville to Ochoco Lake, my next destination. When I got there I was disappointed to find it fu;ll of RVs and campers and lot's of people. However thid is where I was meeting Adinah (my daughter) and Chris, so I got the last spot and was happy for it. It is actually a very nice place, and a large lake. Plus they had showers! I ran into another bike tourist who is also heading east. His name is John and he is from Virginia. He took the train to Seattle and started riding there. He rode down the coast and picked up the Trans-Am in Astoria. 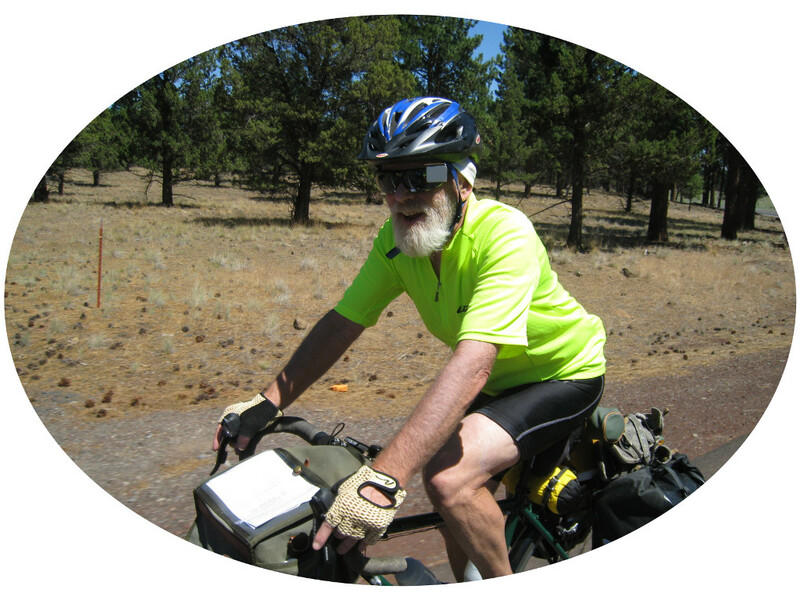 He rode over McKenzie Pass, the first cyclist to do so this year. We decided to ride together and see how it goes. Adinah and Chirs didn't get in until late, after I had gone to bed.